Do you every witness the ego-mind that raises doubts, fears and distractions even before you step onto your mat each morning? This year, we invite and challenge to honour your Vijnanamaya Kosha — to tune in each morning to your internal guidance system by invoking the divine discipline of a daily practice. We invite you to embrace YOUR power, on and OFF the yoga mat by living consciously. We challenge you to invoke a deeper strength that can only come from a powerful inner-connection that enables you to embrace the challenges, the changes and the magical opportunities that arise. Many conversations around Christmas dinner tables have been of the changes arising in our societies. Does this word “change” excite you or frighten you? Yoga and Meditation automatically invite MORE change! And change is always happening. Every moment of every day, in every cell of our bodies and in every ripple into the world around us that these changes create. Many of our personal pains, discomforts and most dis-ease comes from resisting our innate need to change at some subconscious level, emotionally, spiritually or physically. When you come into conflict with the changes that need to arise, you may feel stressed, doubtful, physically blocked or even experience bigger, more painful mirrors that bring all of life into question, accidents or force majeures which come like bolts from the blue to call all of life into question. So how can you, beginning this year, enter a new phase of allowing “the new” to break through and arise? It all begins with a personal practice that enables you to stay tuned in to your innate wisdom, your Vijnanamaya Kosha, the “sheath” of your being that represents your innate consciousness, which is connected to divine source energy that connects each and every one of us to each other and to all that is. Your connection to your Vijnanamaya Kosha is in essence, your connection to the radio-wave frequency of how to stay aligned with the greater universal consciousness of all that is – of Brahma, Spirit or God, the essence of all creation. (1) Purchase a gorgeous, indulgent scented candle that makes you think and feel your sweetest essence! (5) Set a clock for 5 – 10 minutes timing – and then get comfortable, sitting, semi-supine, or lying, bring your hands to your belly and breathe. (6) Lengthen your breaths, focussing on deepening the exhales and inviting all negativity, confusion and toxins to release. (7) Invite space and light with the inhales to open your body, heart and mind. Breath in this way 20 x conscious times. (9) Bring your hands to this part – and feel in to what colour it is, what shape and form it is. Is it moving or is it still? Is it warm or is it cool? Is it making any sound? (10) Ask your inner-guidance system: if your plans for the day ahead really ARE honouring your mental, physical and spiritual needs? Are you feeling any innate resistance? Be mindful of any messages which resonate tension or a sense of shallower-breathing. Visualise your day ahead in a smooth and joyful flow. Now commit to say YES to the choices that you can make that will honour the needs of your body, mind and soul. From here you can continue with further pranayama, or asana sequences… to open your energy pathways, to stretch, open and strengthen your beautiful body. 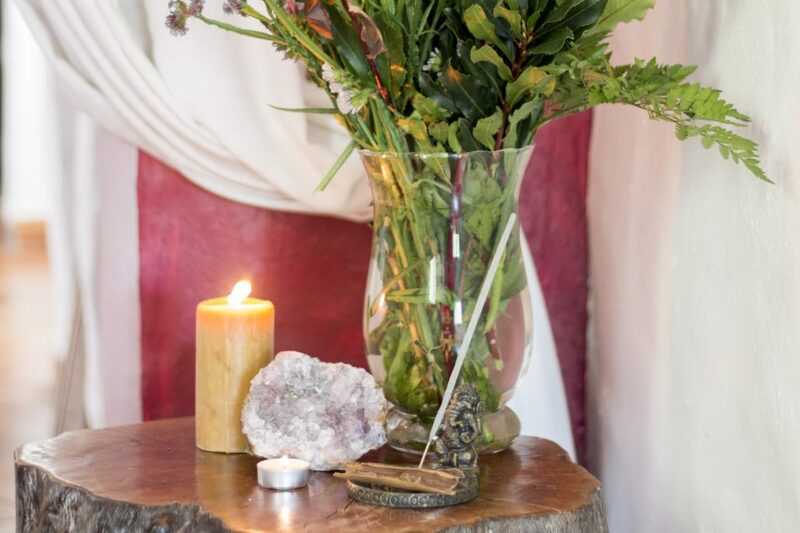 Join us to Harmonise https://ibizaretreats.com/group-retreats/harmonise-retreats/ – to Get Glowing https://ibizaretreats.com/group-retreats/get-glowing-retreats/ , indulge in some Boutique Yoga https://ibizaretreats.com/group-retreats/boutique-yoga-detox/ , open your mind to a new way of living with IQM https://ibizaretreats.com/portfolio-item/integrative-quantum-medicine-iqm-workshops/, Rejuvenate your body and mind, https://ibizaretreats.com/rejuvenate-retreat/, enjoy a combination of yoga and horseriding, https://ibizaretreats.com/pure-yoga-and-horseriding-retreats/ or Nourish your inner woman warrior, https://ibizaretreats.com/portfolio-item/womens-empowerment-retreats , whichever retreat you choose, make sure this is the year in which YOU welcome positive change into your life. Email info@ibizaretreats.com to book your heart space today..